GMO-free, USDA Organic, Rainforest Alliance Certified and Gluten-Free, there’s just a little something extra-special about chocolatiers with a passion for the environment that’s so great, they’re willing to sell many times their weight in chocolate, all so the world can eat their words and support a healthier human race and environment in the process. 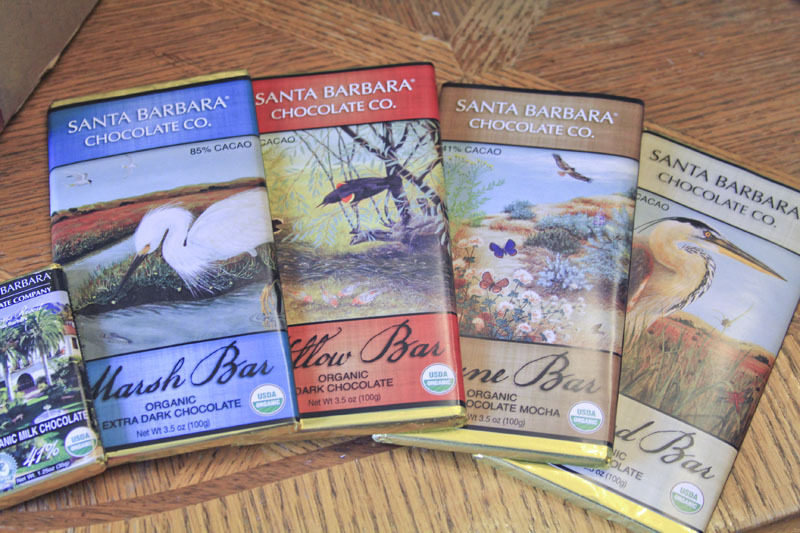 Santa Barbara Chocolate Company chocolates deliver delicious, world-class confections that promote sustainability. To boot, this product supports the Friends of Ballona Wetlands, so not only can you lavish in the luxury of milk chocolate, you can rest easy knowing you’re doing a solid for eco-dependent species. Want more? You can even pronounce the ingredients. There’s nothing funky in these products. I break down each product into its ingredients below. Want more? How about $5.99 flat rate shipping, regardless the box size. The box I had weighed in excess of 12 pounds. My son was like, “What is in this box? Bricks?” Yes, my son. Bricks o chocolate deliciousness. Now slap your face (gently…gently…), because on top of the long list of reasons to buy I want you to read this: Their products are fantastic, high-quality, deliciously smooth, and decadent. I’m not going to fib; these gourmet chocolates are a little more expensive than your typical grocer chocolate, but for the quality and the goals of the company to better the environment and to support small farmers, you have to root for the companies trying to do the right thing with some consumer support. And honestly? The five-star ratings stand, for I love their tireless work, their products and the company. Hard. Is the brand slightly expensive? Yes, when you consider the cost of chocolates you buy locally. Is it worth the extra cost? Yes, if you want to support hard-working companies who are making a difference in the world and help make the brand so popular, it can come to stores near you. Jason Vishnekfske, Maitre Chocolatier and cofounder, established Santa Barbara Chocolates in 1992. About 40,000 pounds of their dark Manjo 66% Chocolate is consumed locally in Santa Barbara every year. The chocolate sources for the company spans from 16 different regions around the world. 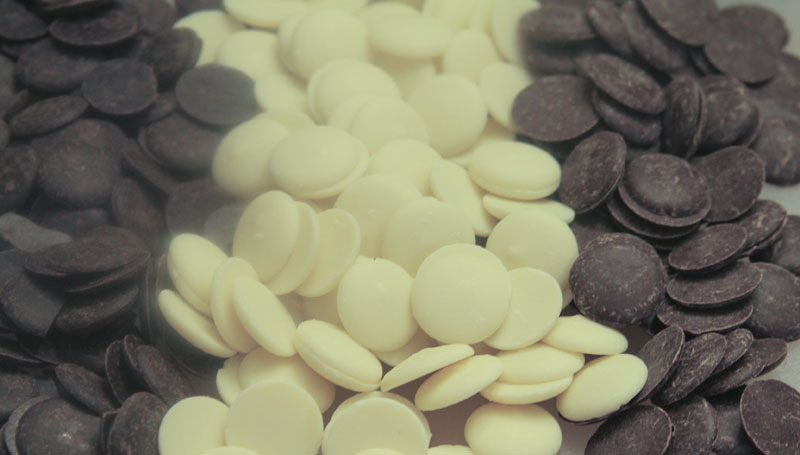 Try pairing the White Chocolate with Dessert Wines and Champagne; the Milk Chocolate (34% cocoa solids) with Pinot Noir; the Dark Milk Chocolate (41% cocoa solids) with Merlot; theDark Chocolate (66% – 72% cocoa solids) with Shiraz and Zinfandel; and the Extra Dark Chocolate (85% cocoa solids)with Cabernet Sauvignon and Port. As soon as I opened this box I had to fight off family members just to take this picture. These quality chocolates are labeled with gorgeous paintings of wetlands animals. This face doesn’t fib. A new Santa Barbara Chocolate Company fan. Negative: The white chocolate and dark chocolate medallions contain lecithin, but not enough to trigger my usual soy reaction. Disclosure: Santa Barbara Chocolate Company has provided these products free of charge for review, but this has not at all affected my review of the item(s) received. How sad is it I live so close and never knew about them?! Is there anything you can only get there that you want? I actually drive right past it twice a week. They are positively tremendous! I have been honored to sample so many of their products. I wonder if they give samples in-store. If so, you need to stop in! They sound amazing, I am definitely heading over there to visit with them. They are such nice guys, too! Seriously. I have had so much fun working with them. 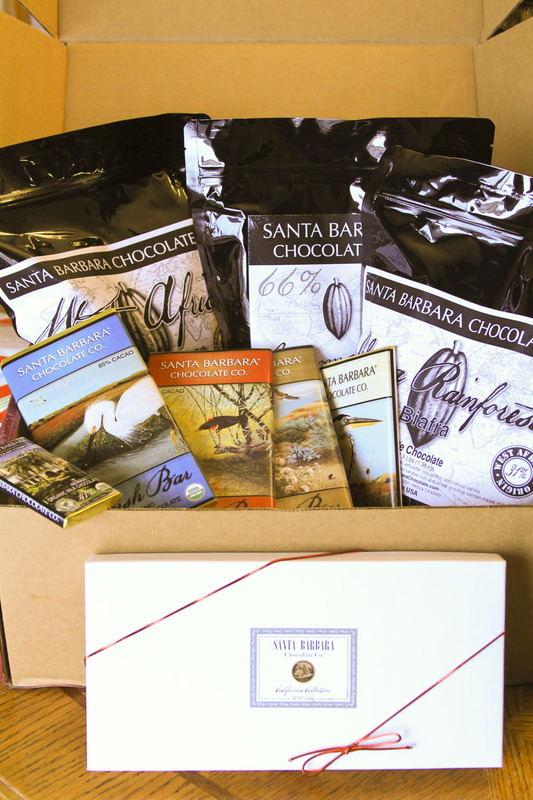 I just “liked” Santa Barbara Chocolate Company on Facebook! I definitely plan on ordering from them. I would love to the assortment box and dark chocolate bars. 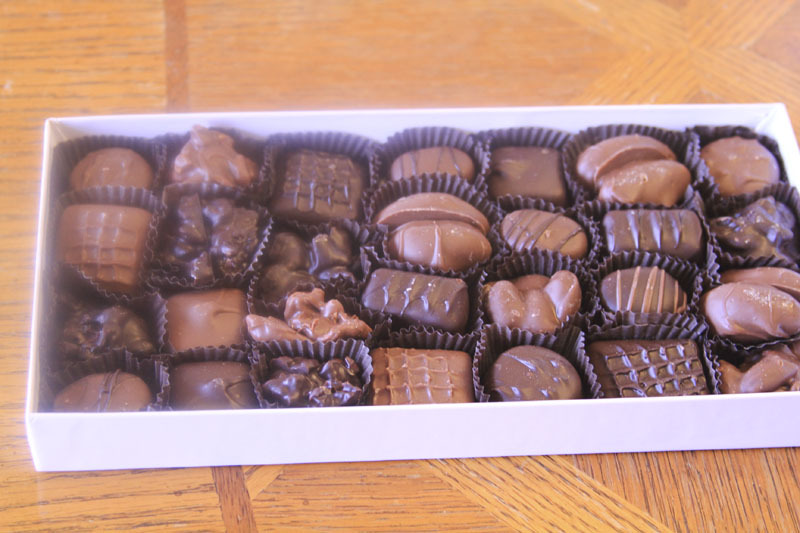 I haven’t had an assortment box of chocolate in years and probably should have one now but I promise I’ll share!! I’d hve to stock up on 100% baking cocoa and throw in a few bars of 75% just for good measure. Yum!